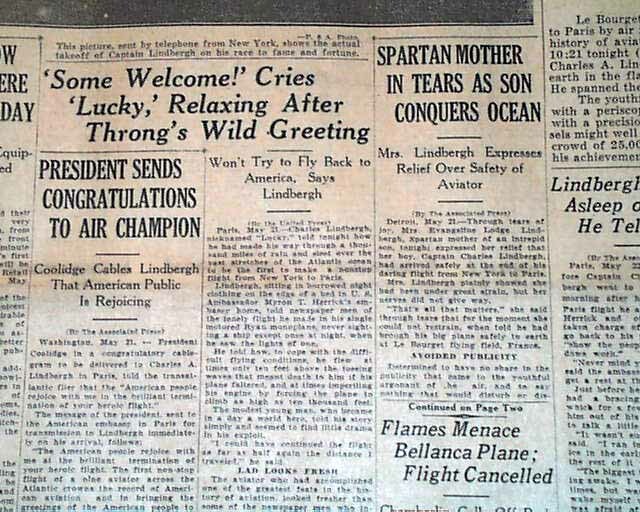 As uneventful as it seems today, Charles Lindbergh's solo flight across the Atlantic in 1927 made him the sensation of the decade. 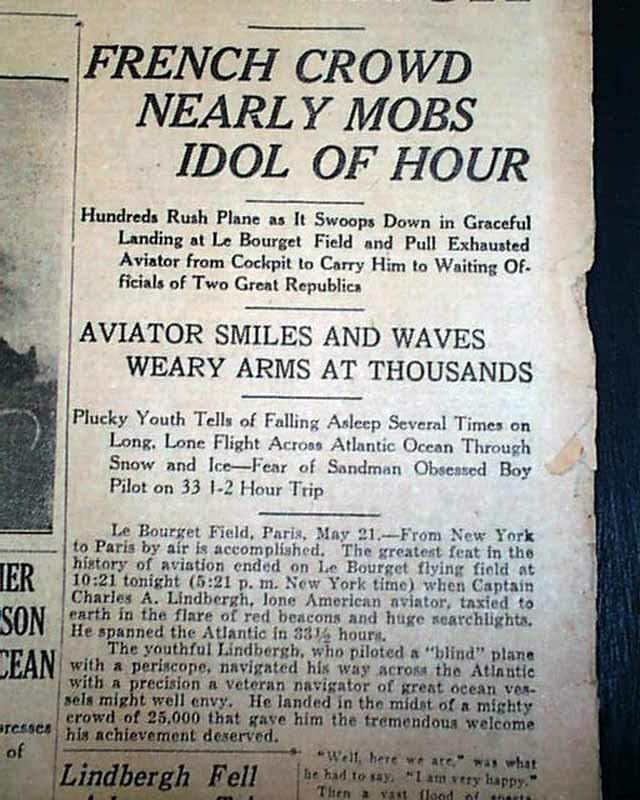 Newspapers around the world heralded his accomplishment and in France, where he landed, he was lauded as a hero. 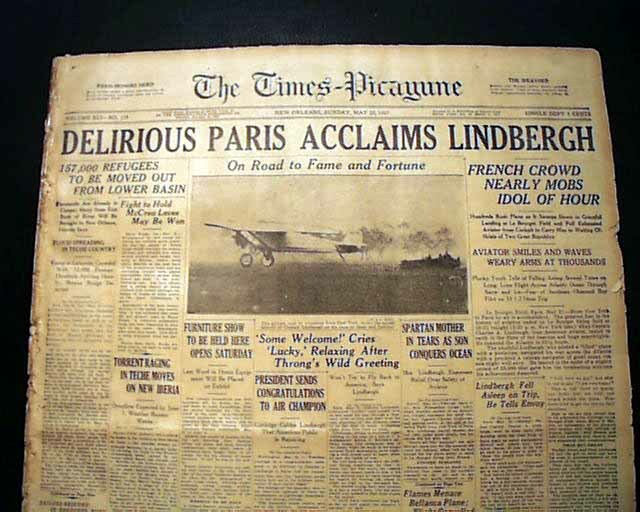 The banner headline announces: "DELIRIOUS PARIS ACCLAIMS LINDBERGH" with a subhead: "French Crowd Nearly Mobs Idol Of Hour" and more. There is also a ftpg. 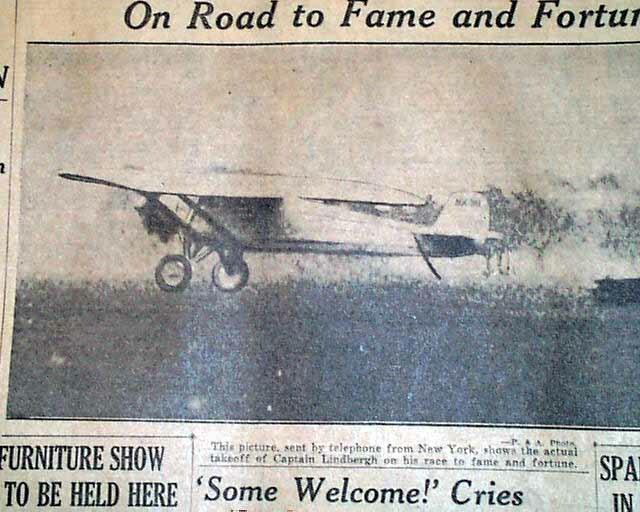 photo headed: "On Road to Fame and Fortune" showing him taking off from New York on his epic flight. 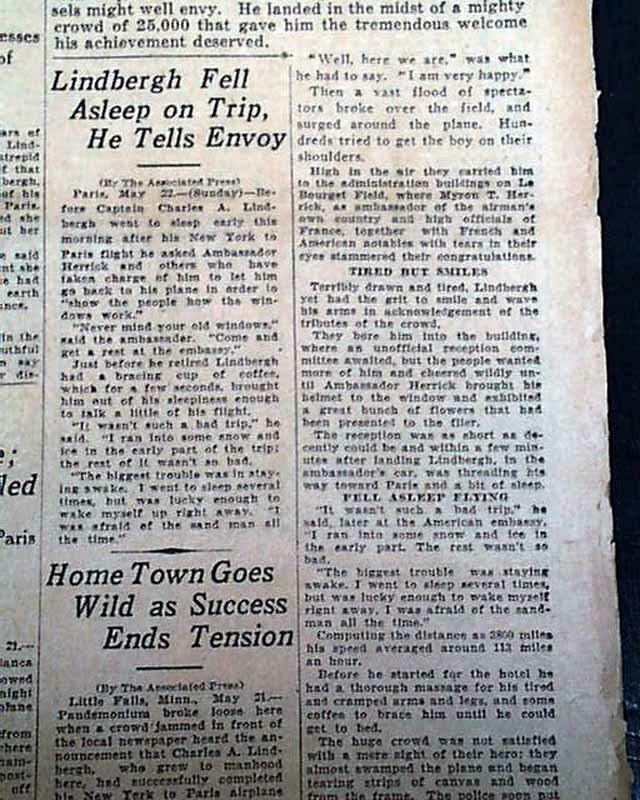 The article carries over to pg. 6. 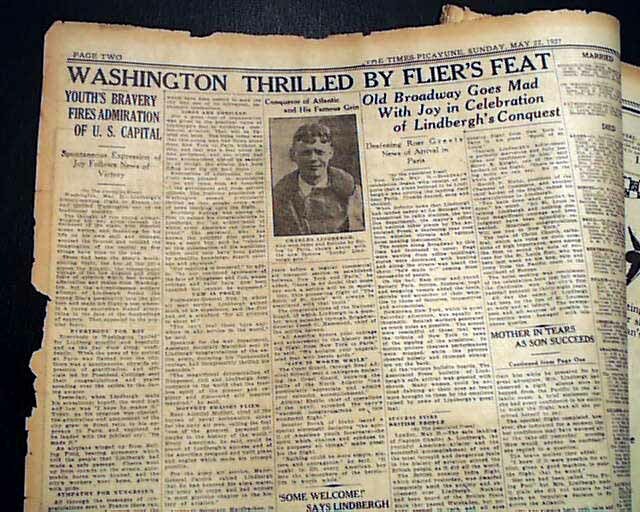 Notice also the back page advertisement. 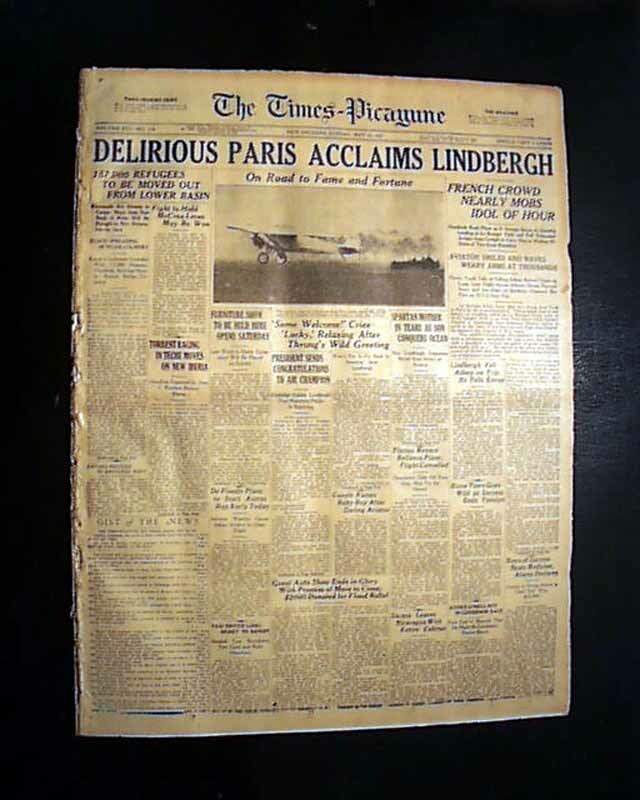 The marketing of Lindbergh had already begun. The complete issue, a little margin wear, mainly along spine, generally nice.